R-N-L Enterprises, LLC – Landscaping and Lawn Maintenance, Granby, CT – A full-service landscaping and lawn maintenance company, offering spring and fall clean-ups, hydro-seeding, mowing, hardscaping, and snow plowing. 24 years serving the Farmington Valley and beyond. A full-service landscaping and lawn maintenance company, offering spring and fall clean-ups, hydro-seeding, mowing, hardscaping, and snow plowing. 24 years serving the Farmington Valley and beyond. For a FREE ESTIMATE call us at 860-653-4060 or email us here. Are you wishing for a brand new lawn? We can make that happen! R-N-L specializes in both hyrdro-seeding and sod installation. Check out our hydro-seeding page. Click here to view our “Benefits of Turfgrass” brochure. R-N-L Enterprises, LLC is a full-service landscaping and lawn maintenance company. 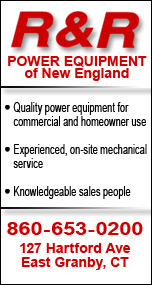 Established in 1988, we have been serving the Farmington Valley area and beyond for nearly 3 decades. We take pride in our work! Website graphics and maintenance by Meg Sodano.